Helping companies understand and apply the All In Leadership Framework inside their own organizations. The All In Leadership Workshop is for senior business leaders responsible for corporate sustainability strategy and their teams, it is ideally suited to annual planning exercises and team retreats. All In summarizes past eras of corporate sustainability leadership and describes how the private sector will have to adapt and accelerate its approach now through 2030 when the UN Sustainable Development Goals are due to be completed. All In suggests business executives apply a framework of five interlinked leadership attributes, Purpose, Plan, Culture, Collaboration and Advocacy, and use them to cultivate the sustainability mindset critical to future commercial success and to the more inclusive and sustainable economy essential for society’s collective future. A framework to cultivate the sustainability mindset critical to future commercial success. The Workshop is based on two decades of GlobeScan-SustainAbility Leaders Survey research with sustainability experts from more than 80 countries as well as more than 40 interviews with CEOs and CSOs from outstanding companies like Unilever, Patagonia, Interface, Marks & Spencer, IKEA and Natura. Comprising views from business, civil society, media, academia, regulators, and government, the Leaders Survey provides a unique, well-informed snapshot on best-in-class corporate sustainability leadership and forms the foundation of Grayson, Coulter and Lee’s thinking. All In Leadership Workshop participants are exposed to the concepts underlying the book generally and the All In leadership attributes specifically. All In Leadership Workshop participants are exposed to the concepts underlying the book generally and the All In leadership attributes specifically. After this immersion, participants are walked through a series of interactive discussions and exercises designed to assess current organizational standing using the five attributes as a scorecard and to identify the steps required ensure a comprehensive future approach. The half day workshop can be expanded to a deeper full day session or compressed into a one hour executive presentation and discussion. Corporate leaders must increasingly choose long-term sustainable business strategies if they are to remain relevant and profitable. 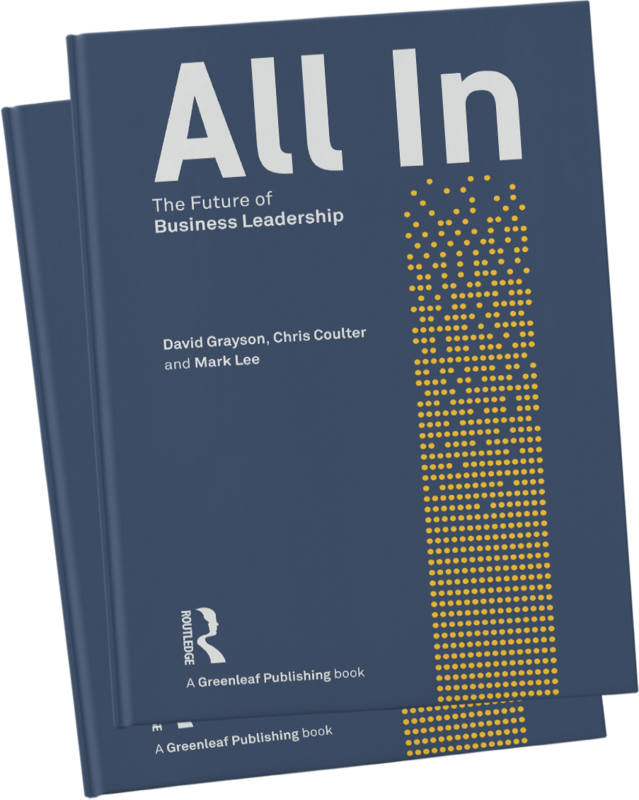 David Grayson, Mark Lee, and Chris Coulter – all respected corporate sustainability veterans – have come together to produce All In, the definitive playbook and new standard for what it means to build a sustainable and resilient business today that can help us thrive in the future. All In required reading for leaders from all disciplines – business, non-profits, academia, government – to better understand the potential and necessity of an engaged and responsible private sector to create the future we want. There is hope if you launch a sustainable business in a place like Nigeria because we adopt things quickly. We need to find responsible private organizations and engage with them to find ways to finance them and solve problems. The Asian Institute of Management is committed to helping build Enterprises for Society. All In shows businesses just how to be an enterprise for society and more. The book illustrates global good practices with rigour. It hits the management sweet spot! My experience in the Asian Forum for Enterprise Society and involvement in a number of corporate boards has shown that many businesses – large and small, public and private – want to understand and manage the risks and opportunities for their Social, Environmental and Economic impacts. 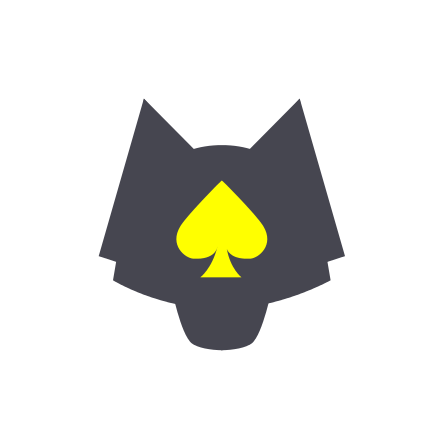 All In is packed full with insights, examples and tips for how to do so. I also look forward to a future edition where I am confident there will be even more Asian examples quoted! or to hire a speaker for your event, contact us. © 2018 All In – All Rights Reserved.